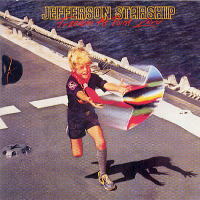 The release of “Freedom At Point Zero” proved to the world that for Jefferson Starship, there was life after Grace Slick. So, the question asked back then was “Is there life after Jefferson Starship for Grace Slick?” At first, the answer to that question looked negative as she battled with the booze in 1978 and 79. Fortunately, she overcame that battle and in 1980, released the album “Dreams,” which proved to me that Grace Slick could survive without the Starship. 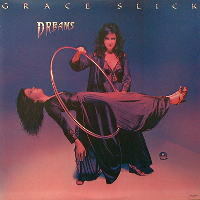 In making “Dreams,” it has been said that Grace wanted to be as far removed from her links with Jefferson Starship as possible. For one, she recorded the album in New York and only used East Coast musicians in order to sever her links with the West Coast, from where she came from. 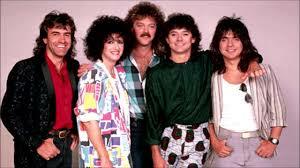 Furthermore, none of the then current or previous members of Jefferson Starship appear on the album. Therefore, it was evident that she wanted a totally clean break and with “Dreams,” I can say that it definitely worked for her, even if the charts didn’t agree. Note: Many musicians were used in different songs on the album, I will only name the main contributors. This was the album that brought Grace back into the rock world and proved that she could make it on her own. 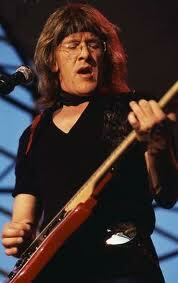 Even if she did return to Jefferson Starship a year later. If you’re feeling nostalgic for great albums that haven’t been considered classic, then go and have a listen to “Dreams.” I’m sure afterwards, you might feel the same way I do about it. 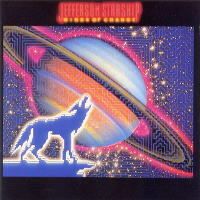 This is one of my favourite albums of all time and definitely my favourite album from Jefferson Starship. 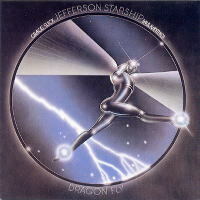 Back then they were my favourite band and with this album, Jefferson Starship was progressing in the same way my personal music tastes were progressing. They had abandoned their more mellow progressive sound of the mid to late 70s and took on a much harder, rockier sound and I loved it, still do. 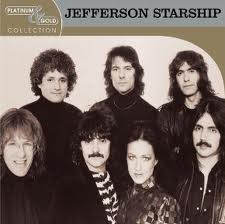 Not everyone agreed with the change at the time, Rolling Stone stated that Jefferson Starship had become just another heavy metal band. My reaction to such a claim would have been the same as rhythm guitarist Paul Kantner’s reaction but I won’t tell you what that was til I get to their next album. Some less informed persons have claimed that the reason why this was their best album was all down to the absence of Grace Slick. I can’t say that I agree with that either. I put the success of “Freedom At Point Zero” down to two other factors: a) Lead guitarist Craig Chaquico is given much more liberty to show what he can do with his guitar on the album and b) Paul Kantner does more of the song writing on it. If you are scratching your head over the last one, listen to the title track and the track “Lightning Rose” and you should see what I mean. 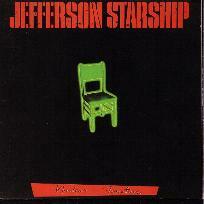 After the departures of lead singers Grace Slick and Marty Balin from the band, Jefferson Starship did leave their mellow out approach behind and took up a more heavier sound. There is their big single “Jane” which starts the album off with a rocky vibe that sticks with you. 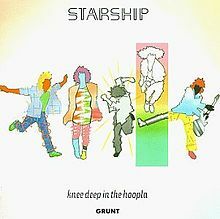 Other tracks like “Things to Come,” “The Girl With the Hungry Eyes” (that title has always amused me) and “Rock Music” are good rocking sounds that bear the banner for this album. Even the more laid back songs like “Fading Lady Light” don’t totally abandon this and the one thing I can say that despite the harder sound, their creativity from those earlier years still is evident. 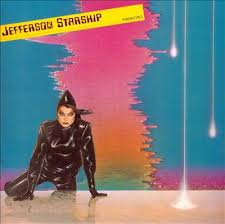 This is why it’s my favourite Jefferson Starship album.